Our apples in the garden aren’t ready yet. My mum’s garden is way ahead of us, and she dropped a small sample of them last weekend.
. 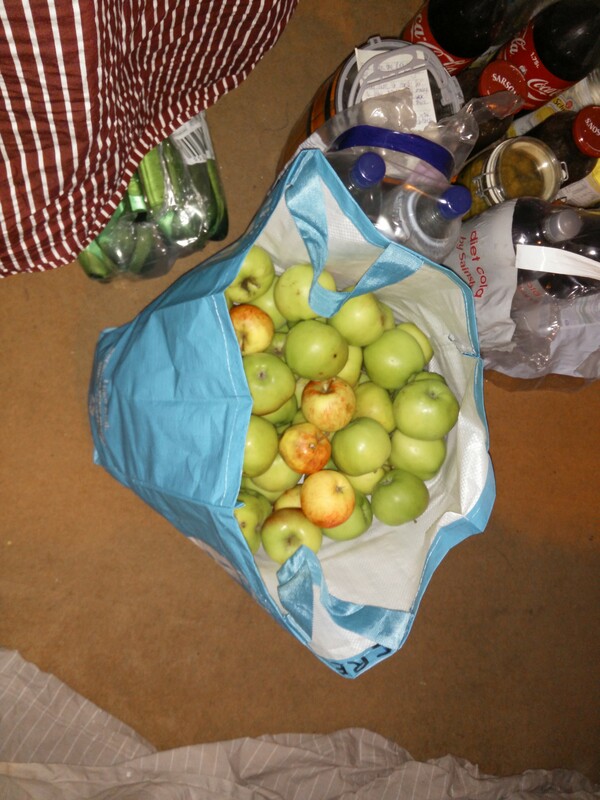 So we’ll be looking for uses for them for the next week or so, and then our apples will start coming… and we’ll be cursing them for the next month. I don’t mind the fruit of knowledge, but why do we have to peel them for so many recipes!? For now it’s the honeymoon period, and a toffee apple crumble from BBC Good Food is particularly appealing as autumn approaches. 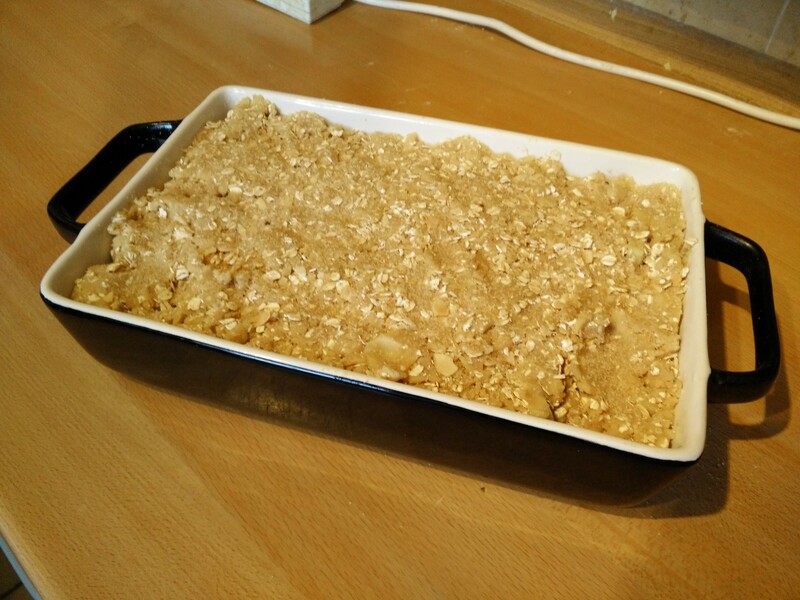 The crumble gets overworked, and has nuts and jumbo oats added, to make it all rustic, And the apples get coated in melted butter, sugar, rum and lemon juice. Bake at 170C fan for an hour covered in foil, then 30 minutes uncovered, and that’s it! 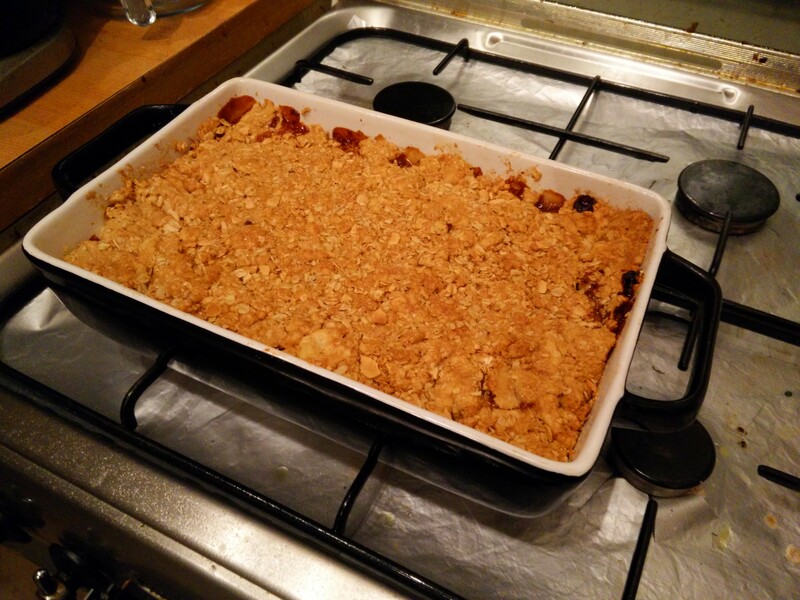 Yay simple and delicious crumbles! I’ve been peeling apples for hours today but I haven’t put them to constructive use, as you have. I’ve just cooked them and will freeze for using throughout the winter. I’m no good with delayed gratification! oh my that sounds good…..